I love puff pastry. It is so easy to cook with, you can do so much with it, and it’s tasty! Well, it’s not easy to actually make by yourself, but as I’ve said before, I’m not the amazing baker in the family! I’m the passionate amateur cook. 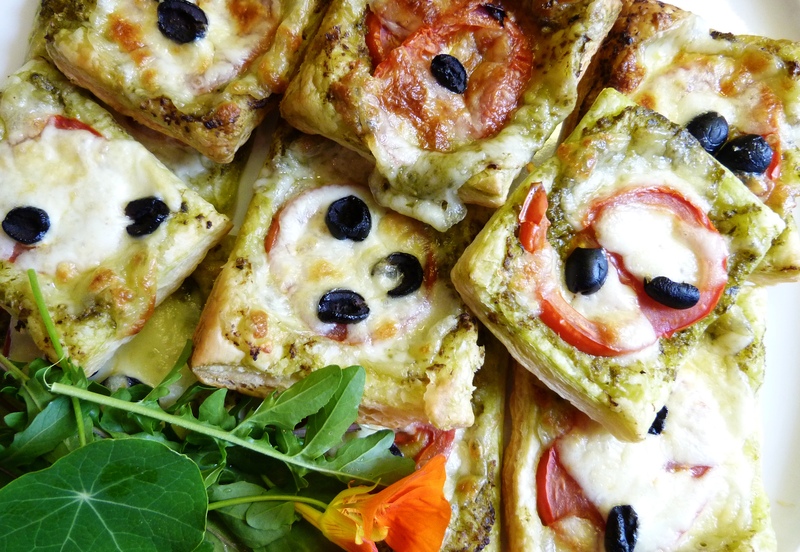 This is a really simple but tasty recipe for puff pastry squares with mozzarella and pesto. 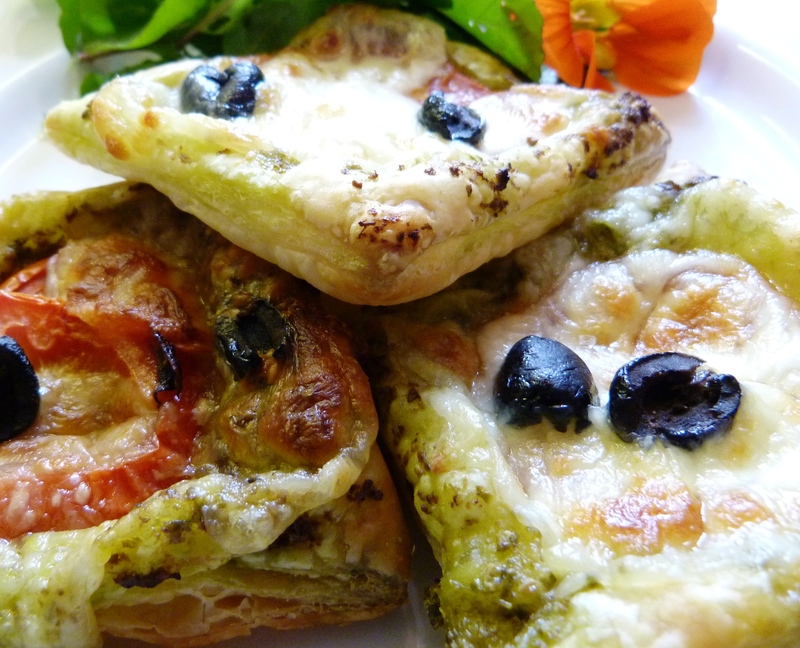 I often make it with other toppings too, such as goat’s cheese and caramelised onion. 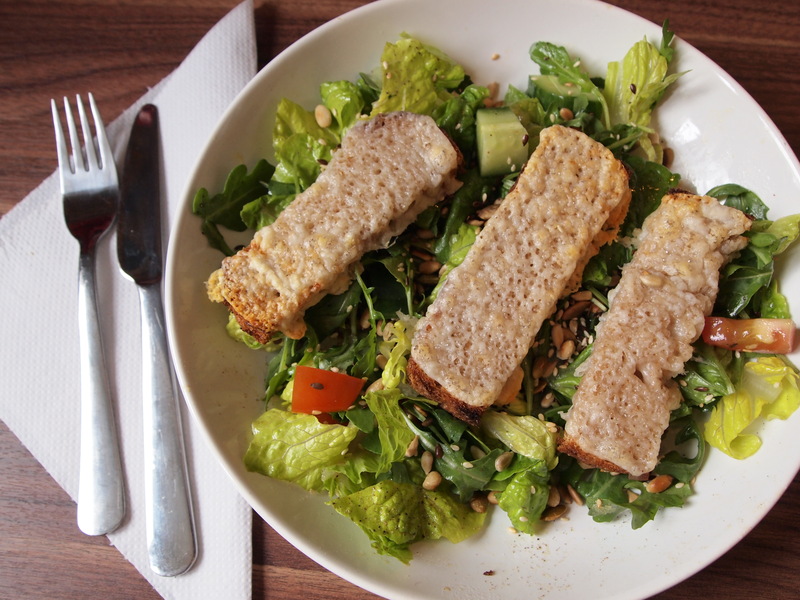 You can serve it as a starter with a nice rocket salad, or as a part of a meal; a light lunch perhaps. Plus, it has that added bonus of being vegetarian, so a great dish to make for your veggie friends. This has very few ingredients and takes hardly any time to cook. I recommend baking the pastry for about 10 mins before adding any heavy toppings, in order to let it puff properly! No one wants unpuffed puff! Personally, I think it’s best served hot. 1. Preheat the oven to 200 degrees or as per the instructions on the puff pastry. Cut the pastry into evenly sized squares, about 10x10cm. Spread the squares with pesto and place into the middle of the hot oven. While it’s cooking, cut the mozzarella and tomatoes into thin slices, and the olives into halves. 2. When the pastry has puffed and started to golden, take them out the oven and very quickly add the other toppings. 1 slice of tomato, a couple of slices of mozzarella and 2 olive halves to each square. Sprinkle some salt and pepper and put them back into the oven. The quicker you do this stage, the better. 3. 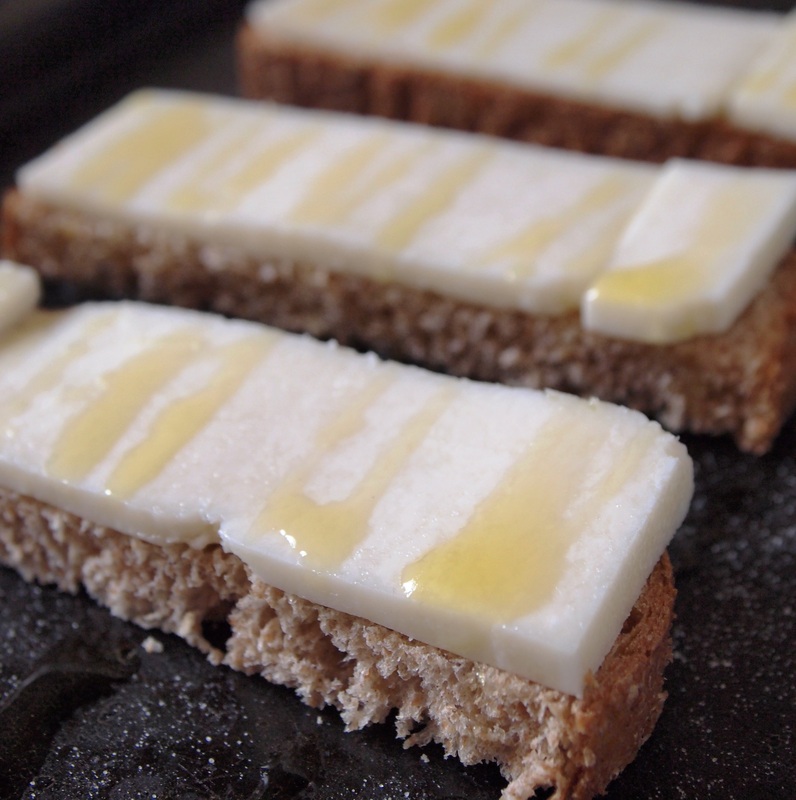 Bake for another 10 minutes or until the pastry is perfectly puffed and golden and the cheese has melted. 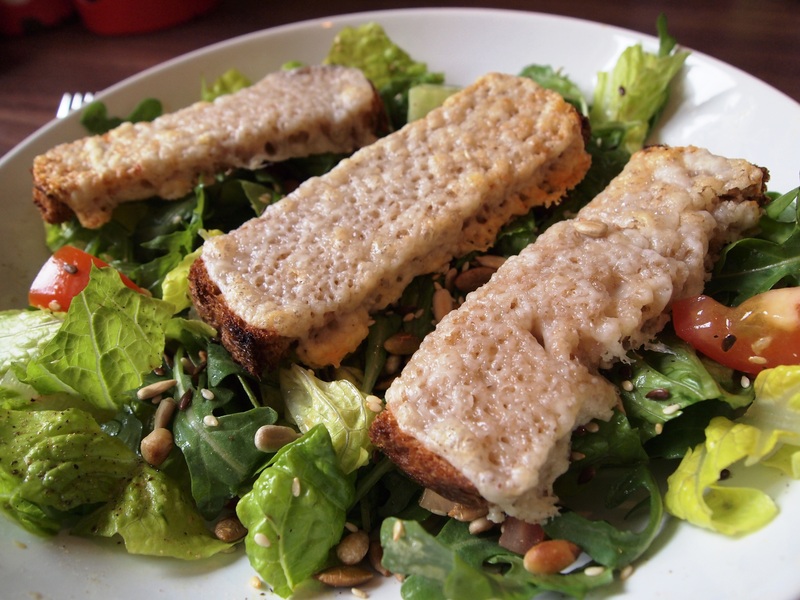 Serve with salad. I hope you enjoy it as much as I do! Any comments are very welcome, especially if you try out any of my recipes and have any feedback. 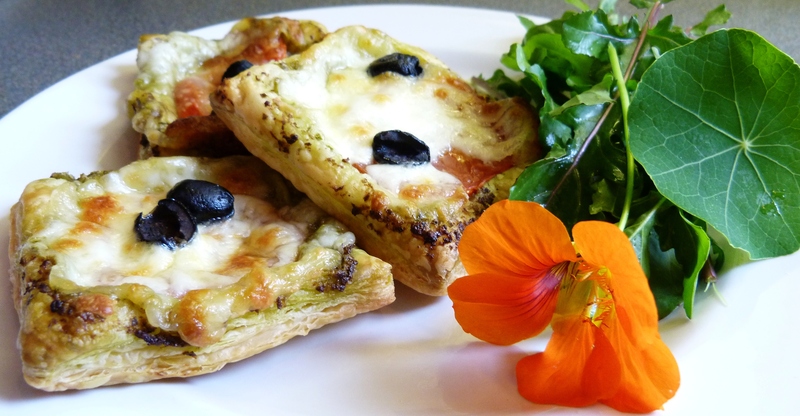 Posted in Recipes and tagged baking, cheese, eat, food, puff pastry, starter, summer, vegetarian. Bookmark the permalink.